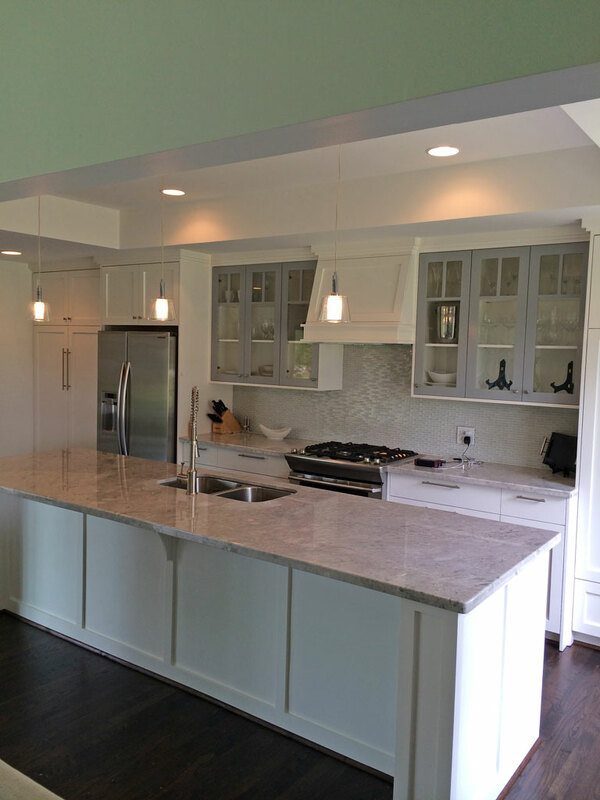 Transitional kitchen design combines both contemporary and traditional features to create an updated look. Not too modern, and not too traditional, transitional kitchens are for those who want their style somewhere in between. Elements of the Style: The best part about transitional design is the freedom it affords to the homeowner. Many of my clients enjoy a variety of looks that do not neatly fit into a particular era or style. Their tastes are not disjointed, but rather a culmination of the designs past and present that fit their visual palette. 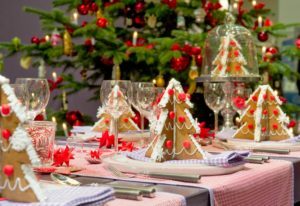 The beauty of transitional kitchen design is that it allows you to pick and choose your favorite themes to create a style that fits your home and your sensibilities. 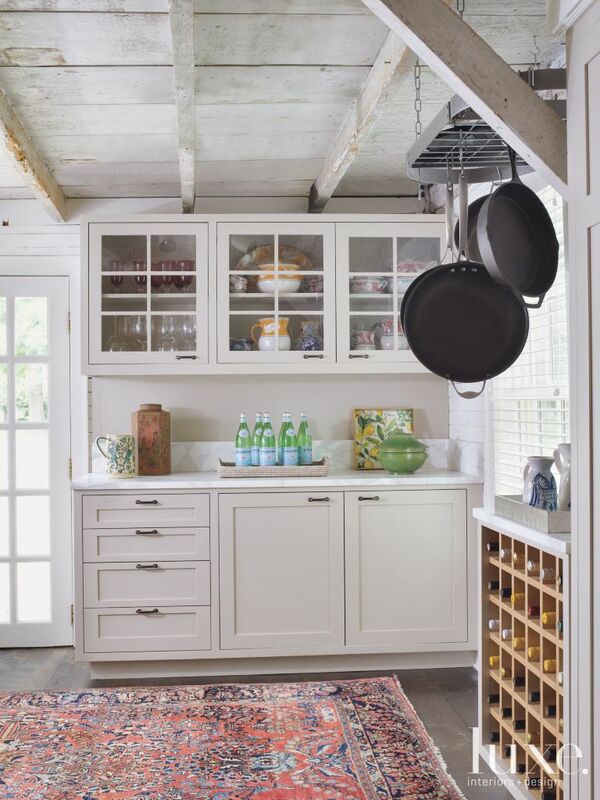 Transitional Kitchen Ideas: Consider mixing both man-made and natural materials for an eclectic kitchen design. 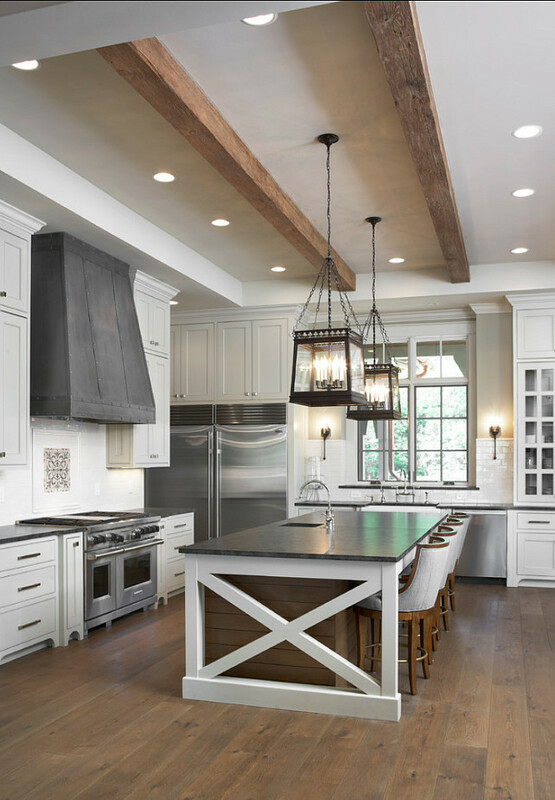 Rather than choosing a traditional wood hood, for example, create a focal point by contrasting a stainless steel hood against the wood cabinetry. Likewise, celebrate the classy look of your stainless steel appliances by eschewing the traditional wood door panels that some people use to hide them. Completing the Look: Shaker cabinet doors in modern finishes, stainless steel handles, and glass tiles can make a transitional kitchen much more trendy without becoming ultra-modern. Unlike modern kitchens, transitional kitchens allow for a tasteful amount of ornamentation. 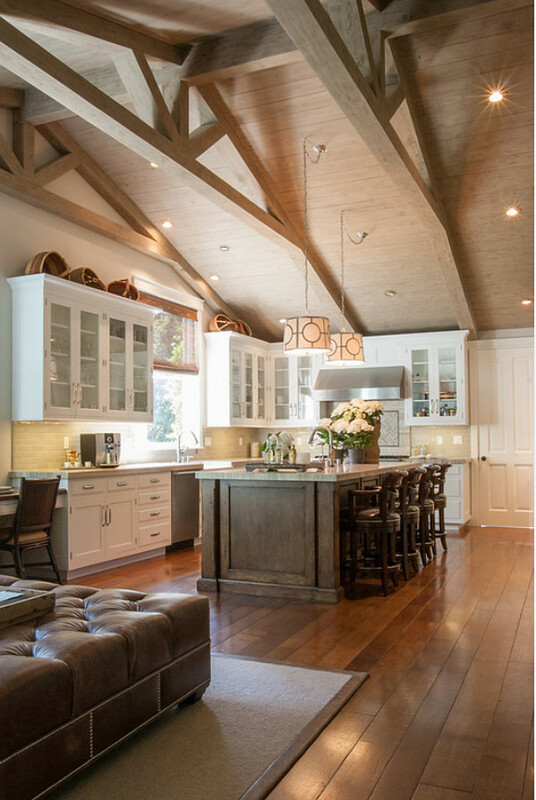 Choose your favorite crown molding, corbels and turnings to make the kitchen as rich and elegant as you desire, all while maintaining a degree of contemporary flair.